The idea behind this recipe comes from a prestigious Italian cooking magazine: La Cucina Italiana. When I was living in Italy I used to buy it regularly as it’s a magazine with always very interesting recipes and new combinations of flavors, and as its recipes were always a success when I tried them. In fact in Italy we don’t have a traditional Christmas Dinner. The tradition just wants that we bring something special on the table, something requiring time to prepare and belonging to the Italian traditional dishes. So we usually have starters, first course, second course, sides and dessert during the Dinner. The dessert never changes, is always Panettone and/or Pandoro with custard or cream, but some families may decide to add an extra dessert to the menu! It’s common in Italy to celebrate Christmas on the evening of the 24th of December, but in many families (including ours) the main Christmas Dinner takes place usually at 12am or 1pm on the 25th of December. The afternoon of the 25th is spent playing games or chatting while eating nuts that need to be cracked, and chocolate pralines and clementines! 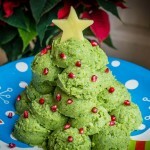 Anyway, a few years ago I read the Broccoli and Mash Christmas Tree recipe on La Cucina Italiana, I prepared it as a side and it was of great effect. I decided to make it again this year. As I lost the magazine where I got this recipe and I didn’t remember the exact ingredients, I tried to reconstruct it as best as I could and I am now happy with the result. 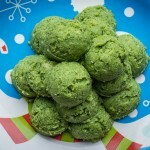 The magazine surely suggested to use butter instead of oil but my recipe is a vegan one! 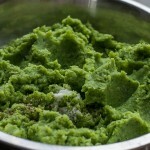 Wash, cut in florets and boil the broccoli until they are tender but firm, drain and set apart. Wash, peel, quarter and boil the potatoes until tender, and drain them. 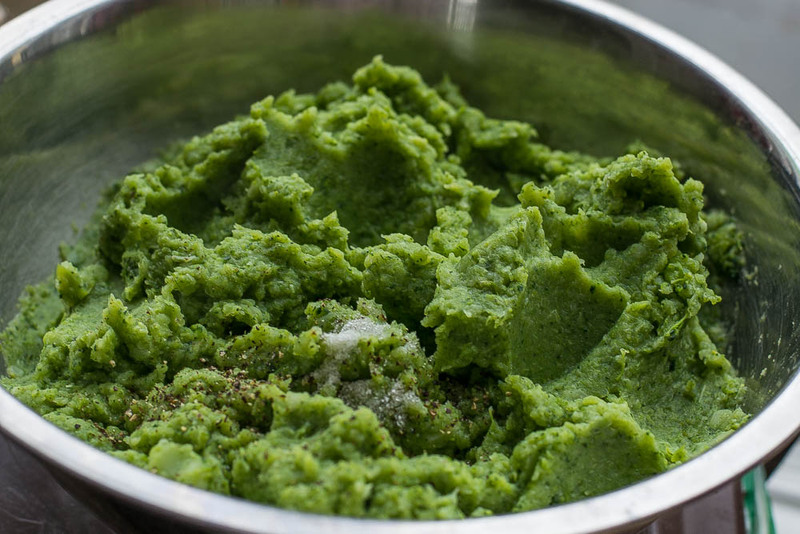 Puree the broccoli with blender (hand blender is also fine). Take an ice cream scooper and shape your Christmas tree. You can choose a vertical or horizontal layout: the second one is easier and comes in handy if you are invited somewhere as it is much easier to transport. Once you have your Christmas tree, sprinkle it with pomegranate grains. Take a large enough potato and cut a slice out of it. With a star shaped biscuit cutter make a potato star. 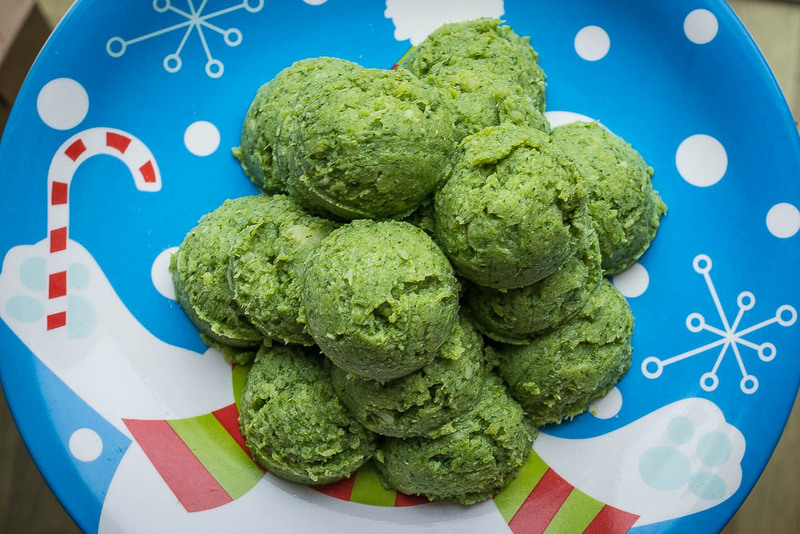 You can now parboil it, or fry it or roast it to place it on top of your Broccoli and Mash Christmas Tree. You can use a slice of apple for the star if you want to keep using fruit as a decoration (together with the pomegranate), and spry it with lemon juice to avoid the oxidation. 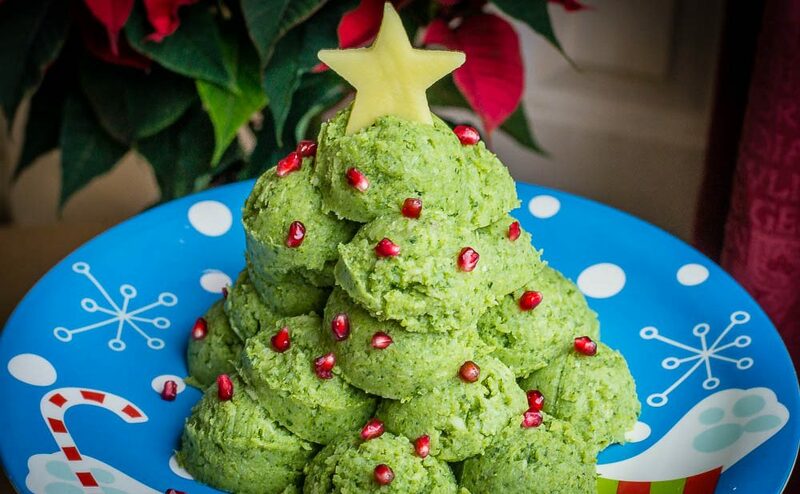 Now to give your Broccoli and Mash Christmas tree some shimmering and more flavour. Place some olive oil in a pan with the peeled garlic and let the oil absorb the garlic flavour. Now pour the oil from the top of the Christmas tree or over it if it is horizontal.